Ruby Rose was recently a guest on The Tonight Show starring Jimmy Fallon. She was promoting her soon to be released film, Pitch Perfect 3. She also discussed her trepidation toward a pig (who had grown unexpectedly large) she had purchased for her mother. What follows is a partial nonverbal analysis of her conversation with Jimmy Fallon. 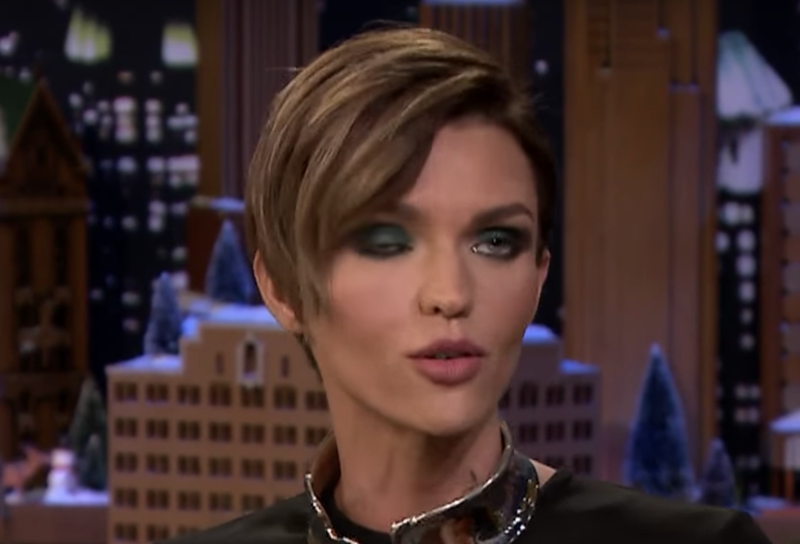 On multiple occasions during her interview, Ruby Rose displays a classic and particular nonverbal signal which you've no doubt seen, yet is rarely discussed in any body language text: Asymmetrical Blinking. A split second later, also during 1:11, Ruby Rose displays an example of asymmetrical blinking. Asymmetrical blinking occurs when one eyelid closes while the other remains partially open - and/or when one eyelid re-opens whilst the other remains closed/mostly closed. Asymmetrical Blinking frequently is seen multiple times in rapid succession, but it may also occur at a slower frequency and singularly. She repeats the Asymmetrical Blinking once again during 3:08. It's helpful to think of Asymmetrical Blinking as a Partially Suppressed Eye Roll. Fascinatingly, while an eye roll occurs primarily at the level of consciousness (a deliberate act) with some dips into the edge-of-consciousness, Asymmetrical Blinking is a somewhat deeper phenomenon - happening mostly at the edge-of-consciousness but partially diving into the subconscious. Summary: Asymmetrical Blinking is a nonverbal amalgam, displaying the emotions of Contempt - and also Pretentiousness, Sarcasm, and Feigned Disbelief. Whenever you see Asymmetrical Blinking, it should signal to you that there is a component of hyperbolic behavior and Insincerity present.